After looking at Mars through telescopes for hundreds of years and seeing irrigation channels and it was believed that there could have been life on Mars. Many superstitions and movies made about life on Mars, including Orson Wells’ War of the Worlds broadcast. Believed to be a curse on Mars because of all of the failed missions and satellites that were sent to Mars which also added to the speculation of life on Mars. 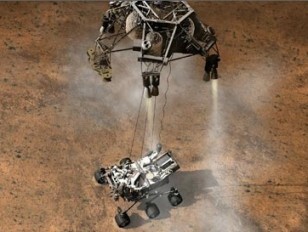 Internationally there is only a 50% success rate on missions to Mars and missions run by NASA have a 72% success rate.